Whitefish, fish broth, water, turkey liver, dried egg whites, pea protein, dried ground peas, salmon, potatoes, peas, potato starch, guar gum, tricalcium phosphate, salt, natural flavor, sodium phosphate, potassium chloride, inulin, tomatoes, sweet potatoes, blueberries, raspberries, calcium carbonate, choline chloride, yucca schidigera extract, zinc amino acid chelate, iron amino acid chelate, thiamine mononitrate, vitamin E supplement, copper amino acid chelate, manganese amino acid chelate, sodium selenite, cobalt amino acid chelate, niacin supplement, d-calcium pantothenate, vitamin A supplement, riboflavin supplement, biotin, vitamin B12 supplement, potassium iodide, pyridoxine hydrochloride, vitamin D3 supplement, folic acid. Taste of the Wild Pacific Stream Canine Formula With Salmon in Gravy is formulated to meet the nutritional levels established by the AAFCO Dog Food Nutrient Profiles for growth and maintenance including growth of large size dogs (70 lbs. or more as an adult). Pacific Stream Canine® Formula with Salmon in Gravy is rated 4.7 out of 5 by 15. Rated 5 out of 5 by SHANNON from Still Loving it After All These Years Our Weimaraner has been eating Pacific Stream for about 8 years now. He still gets excited daily when it’s time to eat. You would think he would get tired of the same food day after day but not my boy. He loves it! I dog sit often in my home & they don’t want their food when they’re here. They smell his and refuse to eat theirs, lol. I end up mixing some of his in theirs to make them happy. Your food has kept his coat shiny & skin allergy free. Not to mention healthy stools. He breaks out with bumps if he eats other brands, like the dogs we sit for. Thank you for making a quality dog food for our boy Gunner. Rated 5 out of 5 by Lisahciam from Has Done Wonders We adopted Flurry from a county shelter. She had been a stray, was 12.5 lbs. underweight and her fur felt like straw. Her tail looked like a curved stick with the fur right against it - I didn’t think she would ever have a pooofy tail! When we brought her home, we put her on Taste of the Wild and her fur soon became soft and she got her poofy tail! She’s happy and healthy - it’s amazing what good, quality food can do! Rated 5 out of 5 by JoeHodgin from Stewie is a Big Fan My dog’s coat has never looked better. Wow! What an improvement. He also loves this food and can’t wait every time I pour his bowl full of taste of the wild. Rated 5 out of 5 by Popeyex27 from My pack of 3 loves the salmon best! I have been feeding my pack of three taste of the wild for as long as I can remember. High quality food= High quality dogs! Plus the added bonus of creating "treats" for the Beagle in the backyard! Yes, he sniffs around and if left unsupervised he will gooble up what the other two cr@p factories produced that day! It's gotta be great dog food if they eat it "twice"! Rated 5 out of 5 by Mamie86 from My dog loves it Years ago, we switched to TOTW brand dog food. My dog has allergies which will flare up randomly. We started giving him only Pacific Stream dry dog food with a few tablespoons of canned dog food mixed in. He loves it. I love that it doesn’t smell fishy when feeding him. My dog still has allergies, but he seems better controlled with Pacific Stream. Rated 1 out of 5 by Jezi from Worst dog food ever bought! I was looking for a dog food that would help my 4 legged babies, 2 Rat Terriers, with very sensitive stomachs and allergies. I was told by a Sales Person that this food was very good for those reasons. Contrary to what I was told, my dogs itched like crazy and their stool was hard as rocks causing the poor things to cry out as they defecated. If you're thinking it, YES, they were drinking plenty of water. I'm so upset at myself for putting my fir babies through such misery from this food. Rated 5 out of 5 by Misty from PERFECT for dogs who are allergic to chicken This dog food is PERFECT for dogs who are allergic to chicken, and we can feed it to both our dogs instead of getting a special bag for the allergic one. I love the fact that it's grain free and has good ingredients, we have noticed a few other improvements since switching from another premium brand but I'm not sure if it's due to the food or if she grew out of those issues. Rated 5 out of 5 by Calkid817 from No other food I have given this formula to my Jack Russell since she was a puppy. I did a lot of research on dog foods before deciding on this brand. My dogs fur is so soft like puppy fur and she is 8 yrs. Old. 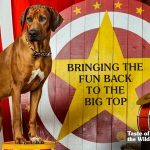 I have recommended Taste of the wild to all pet owners I have encountered. This food is awesome for my dog!!! 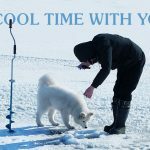 How long can I keep a can of your dog food refrigerated before it considered &quot;too old&quot; or &quot;unsafe&quot; to use. Feeding dry &amp; wet food. Would probably be buying Wetlands Fowl in gravy. Hello, thanks for your question. Partially eaten cans should be covered or put into an airtight container in the refrigerator and kept no longer than three days after opening. wet food says to feed 1 -11/2 of what cups , teaspoons , cans , oz's ? what does that stand for ? please be more specific on feeding portions ! Hi, Johnny. Our feeding guide reflects cans per day. If you have any additional questions, please contact one of our product specialists by calling 1-800-342-4808 or emailing us at https://www.tasteofthewildpetfood.com/contact-us/general-inquiry. Is the salmon in this food wild caught, or is it from farmed sources? Thank you. Hi Rachael, thanks for your question. We use both wild and farmed salmon. Due to concerns over sustainable fishing, we use a blend of wild caught and farmed salmon from the Pacific Northwest and Chile. It comes in fresh and does not contain any preservatives. The last time I resupplied (Pacific salmon) I accidentally picked up a puppy formula bag. My little Maltese likes the smaller size but she is 6 1/2 years old. Is there any difference in the formulation that would indicate I should go back to the regular? Pacific Stream Puppy is formulated to meet the nutritional needs of dogs at all life stages, so if your Maltese likes it, you can absolutely continue to feed it. What is the phosphorus percentage in Wild Pacific Stream canned food for dogs? Hi, Mary. Our Pacific Stream Canine Formula with Salmon in Gravy contains 0.37% phosphorus on an as-fed basis. I am trying to bulk my my 1.2 yr old german shepherd.... he eats the dry pacific steam salmon puppy and i want to know how much wet of the same food to add? Hello, if your German shepherd needs to gain weight, we recommend increasing the total calories he consumes per day. The amount of canned food to add would depend on how many calories you are currently feeding him, his body weight, and how much weight he needs to gain. Please call us at at 1-800-342- 4808 or email us by visiting https://www.tasteofthewildpetfood.com/#contact-us so we can help you figure out the proper amount of food for your dog. Are any of your wet food formulas egg free? &nbsp;My dog has an egg allergy and does great with the Pacific Stream dry formula, but I would like to add some wet food a couple times a week. Hello and thanks for reaching out. We&rsquo;re happy to hear your pup is doing great on our Pacific Stream dry recipe. 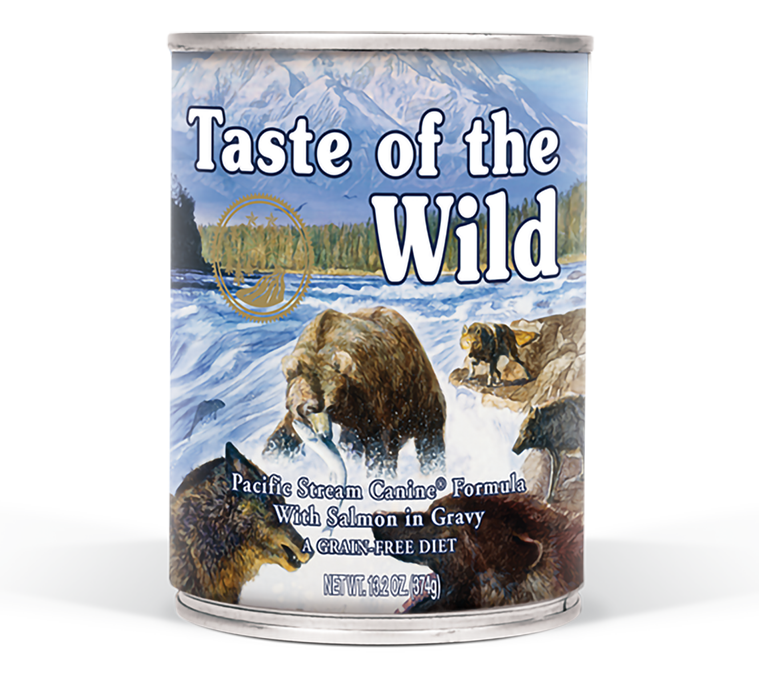 Unfortunately, all of our Taste of the Wild canned recipes contain dried egg product, including Pacific Stream with Salmon in Gravy. If you have any additional questions about our recipes, please contact us by visiting our website https://www.tasteofthewildpetfood.com/contact-us/. How do you recommend mixing dry and wet food for a puppy age 2 months old? per day? per feeding? Hello - thanks for reaching out and congrats on the new addition to your family! Many pets enjoy the variety they receive when you feed more than one recipe. When feeding both wet and dry food together, it&rsquo;s important to monitor the calories to ensure you are not overfeeding. 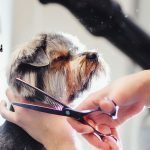 In order to provide you with an accurate feeding recommendation, we need to learn more about your dog. Can you please contact us by visiting our website https://www.tasteofthewildpetfood.com/contact-us/ or give us a call at 1-800-342-4808 (8 a.m. - 5 p.m. CT weekdays) so we can assist you further?